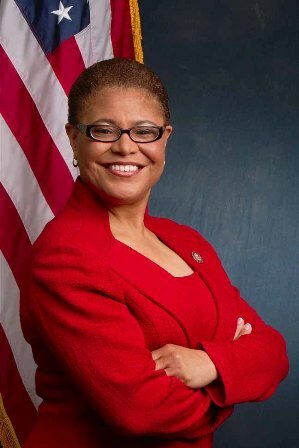 Rep. Karen Bass (D-Calif.), Ranking Member of the House Africa Subcommittee, applauded the passage of the African Growth & Opportunity Act (AGOA) and Millennium Challenge Act (MCA) Modernization Act, which passed by a unanimous voice vote on the House Floor. The bill, introduced by House Foreign Affairs Committee Chair­man Ed Royce (R-Calif.), will make AGOA more effective by directing the President to establish a website with information regarding AGOA and by encouraging embassies in chosen countries promote export opportunities to the United States. The bill also included Rep. Bass’s MCORE Act of 2015, which enables eligible countries with Millennium Challenge Corporation compacts to simultaneously enter one additional compact if the country is making considerable and demonstrable progress in implementing the terms of the existing Compact. This would promote and develop a stronger economic relationship between the sub-Saharan Africa and the United States. For well over a decade, AGOA has served as the key foundation to U.S. - Africa trade and investment. The AGOA Enhancement Act hopes to build on and improve this successful law. Rep. Bass has devoted a large portion of her time in Congress to pushing for the extension of AGOA. Working hand-in-hand with Demo­cratic and Republican members of Congress, business and labor officials as well as the AGOA ambassadors and members of the African diaspora and civil society to push for the reauthorization of AGOA, earning its passage in June of 2015.